Featured on Cuteable...I Just Found Out! Just listed...and more to come! Yippee...both kids are now in school! Wednesday Wish List - Random Goodies! 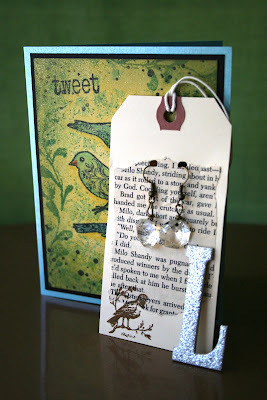 I just have to tell you about one of my best etsy friends, Melissa Jackson (www.mjalteredart.etsy.com). After we got home from Disney World, I went to check the mail and discovered a wonderful little present from Melissa. She sent me the nicest handmade card along with some stunning earrings...what a treat! I am actually wearing the earrings today along with my favorite shirt that I purchased from another great etsy shop Pretty Raccoon Clothing (www.PrettyRaccoon.etsy.com). Don't you think that the earrings and shirt belong together? Don't you just love Etsy! 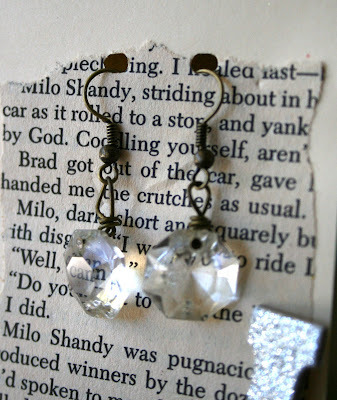 I love those earrings, what a fantastic way to present them too.